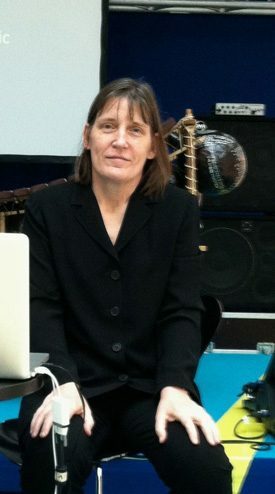 Patricia Hall (PhD ‘89, Yale University) taught at the University of California, Santa Barbara, for 25 years before coming to the University of Michigan as chair of the Department of Music Theory (2011-2017). Hall is the author of A View of Berg’s Lulu Through the Autograph Sources (University of California Press, 1997) – winner of the ASCAP Deems-Taylor Award – and Berg’s Wozzeck (Oxford University Press, 2011). She is co-editor with Friedemann Sallis of A Handbook to Twentieth-Century Musical Sketches (Cambridge University Press, 2012) and the general editor of The Oxford Handbook of Music Censorship (Oxford University Press, 2017). Hall’s articles and reviews have appeared in The Journal of Music Theory, The Musical Quarterly, Music Theory Spectrum, The International Journal of Musicology, Computing in Musicology, and a number of edited volumes. She received two Fulbright Fellowships for study in Vienna, and a grant from the Paul Sacher Foundation in Basel. Hall has given papers at the annual meetings of the American Musicological Society and Society for Music Theory, at the Wiener Festwochen, and at the Colburn School, among other venues. She founded the online journal Music and Politics and was editor from 2007 to 2017. Hall was recently elected president of the Society for Music Theory. Her term as president will begin in November 2019. Prior to taking office, she will serve as president-elect.